Photos by Phil Seymour of 50012 photography. Headshots by Laura Jackman. 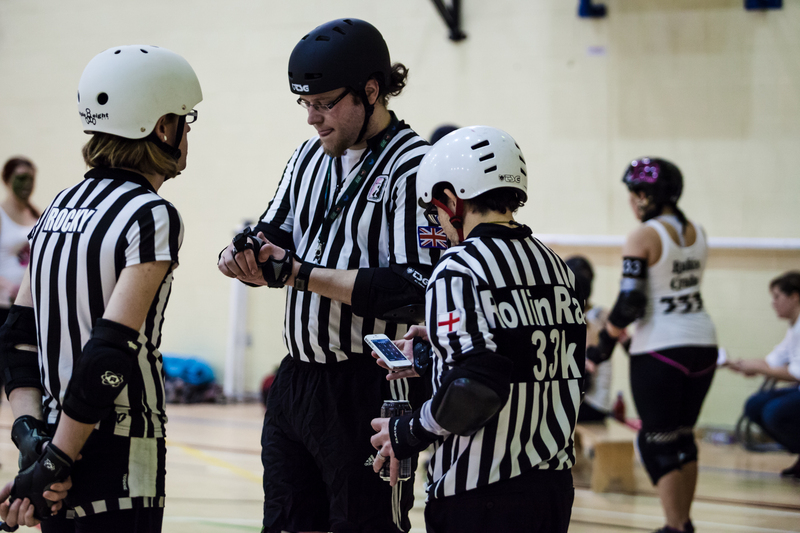 With over 20 collective years experience between them, thousands of travel miles, three wftda certifications and a pocket full of aspirations, our officials at Central City Rollergirls are a huge asset to the league and European Roller Derby. This week sees us catching up with our officials and celebrating all things in black, white and pink. Being an official is a tricky business, having to encompass a working and practical knowledge of the rules, documenting complex stats, having to adapt to new updates and paperwork every year and incorporate interpretations of the rules into every decision at a split seconds notice is a tough feat. Couple that with constant tactics changes, a driven and inquisitive team and these superstars of the flat track certainly have their work cut out. This year has been a particularly busy one for our officials with several major international tournaments already and both the men’s and women’s world cups having a CCR official presence. So what keeps our officials ticking? Is it as easy as you think? How did they come to be? I posed some questions to our officials to get some feedback on their past and future endeavours. Time Officiating: 5 Years and counting. Since 01 July 2009 when I NSO’d at Roll Britannia. First on skates officiating was 05.09.2009 I was OPR for London Rockin Rollers v Stuttgart Valley Roller Girls. Counties Visited this year: Belgium and in December I will be flying out the USA, Dallas. Favourite Bout / Tournament? Apart from the obvious, above mentioned first time outings, I would have to say Track Queens Battle Royal as it was my first tournament outside the UK and was accompanied by my league Central City Rollergirls. What are your goals for next year? 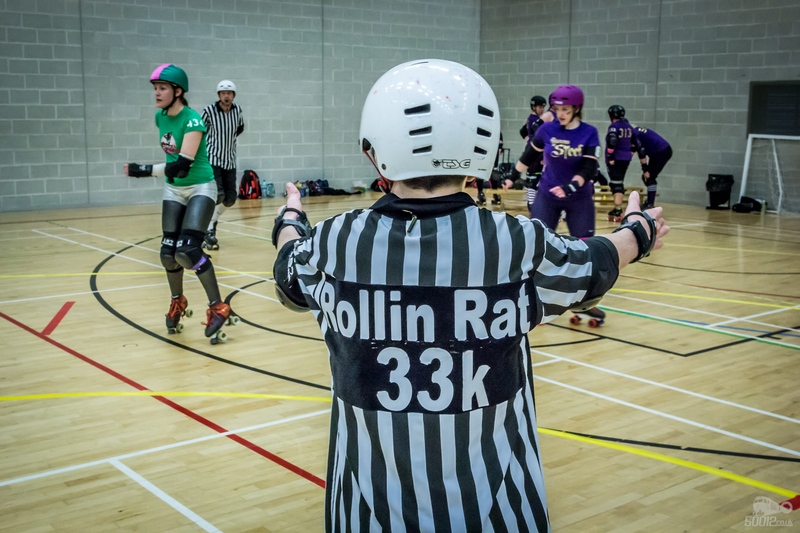 To referee around the UK more; To become a level 2 Certified WFTDA Official; To keep applying for tournaments around the world. 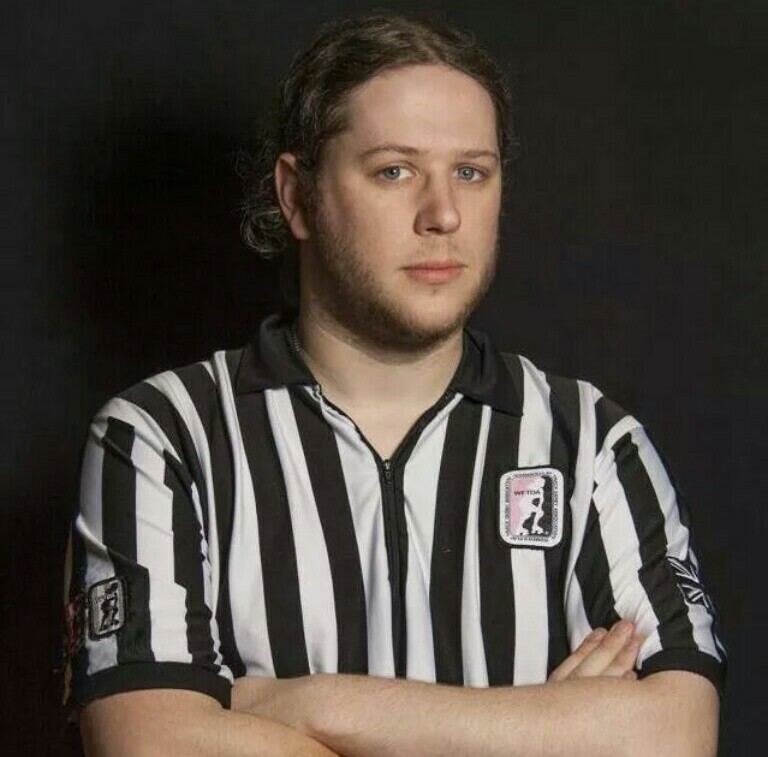 Any tips for an aspiring ref? Seek guidance. The officiating community is massive and we are all a friendly bunch and willing to help develop officials. As the sport grows, the tactics grow so officiating needs to grow with it. Favourite bout/tournament? SKOD as doing the stats gave me more time to watch the derby and see some of the best NSO’s in Europe at work. I was too ill during the men’s world cup to appreciate the experience. 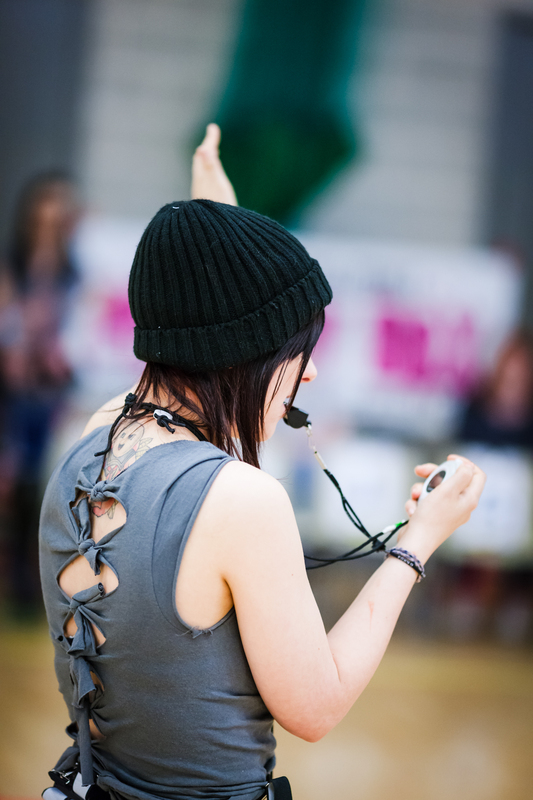 Eastbourne Extreme was fun as my first outdoor roller derby experience. Aspirations for next year? New job so I can afford to go to more bouts and getting my certifications! 1 tip for an aspiring official? Its not as scary as it looks! Time officiating: Four years and three weeks. 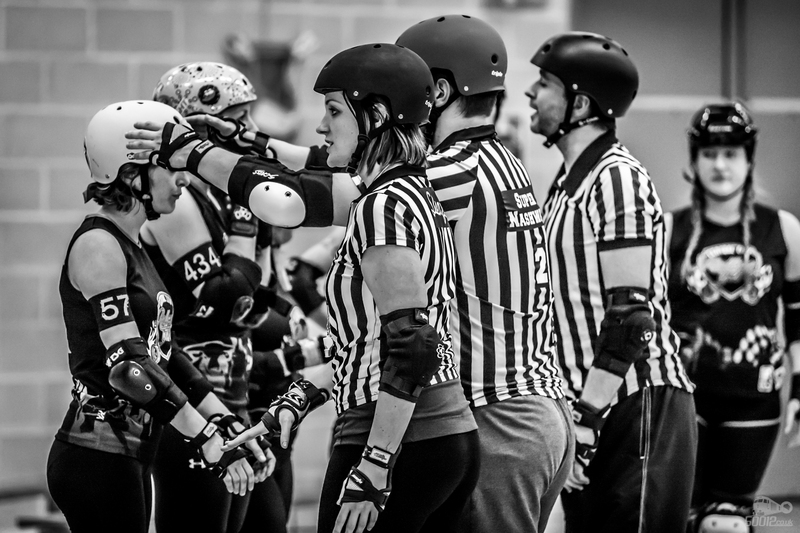 Bouts officiated this year: My one hundredth game was head reffing Victorian Vs Sacred at the Big O in May 2013. Then my two hundredth game was SDRD Vs CTB at Men’s European Champs, Aug 2014. So around a hundred! Countries visited this year: France (twice) and Belgium so far, with trips to Norway, Sweden and the USA before the end of the year. Favourite game/tournament? My favourite game was Toulouse v SWS at MEC, it was so close all the way through the game and either team could’ve taken the win. My two favourite moments from last year were both from the Men’s World Cup. I realised that I skated in my first open game with a few members of Team England, and there we all were in the world cup final, albeit on different sides of the rope! Second, was being able to award Scotland lead jammer against the USA, I’ve never reffed with a crowd that crazy and emotional. 1 tip for an aspiring official? Get yourself about. Seeing how other referees work, their standard procedures within their crews and different interpretations all help you to take the good points on board and become a well-rounded official. Also, relax! Time officiating: Since July 2012, so like…just over 2 years. Countries visited this year: The UK and Newcastle. That’s a different country, right? Favourite bout/tournament? The Men’s World Cup. Amazing atmosphere, wonderful people, what a blast! Bouts officiated: Game 100 sometime in early 2015 – hopefully it’s a CCR game too! 1 tip for an aspiring official? Be loud! 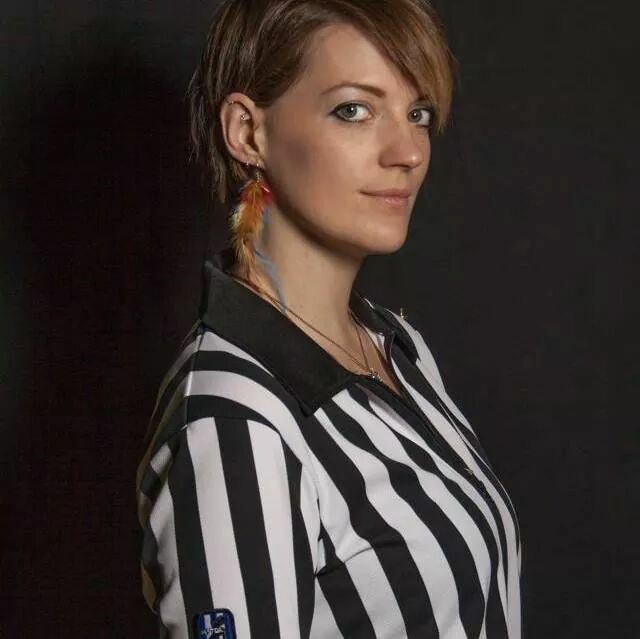 Von Sleaze – WFTDA Lv1 cert. 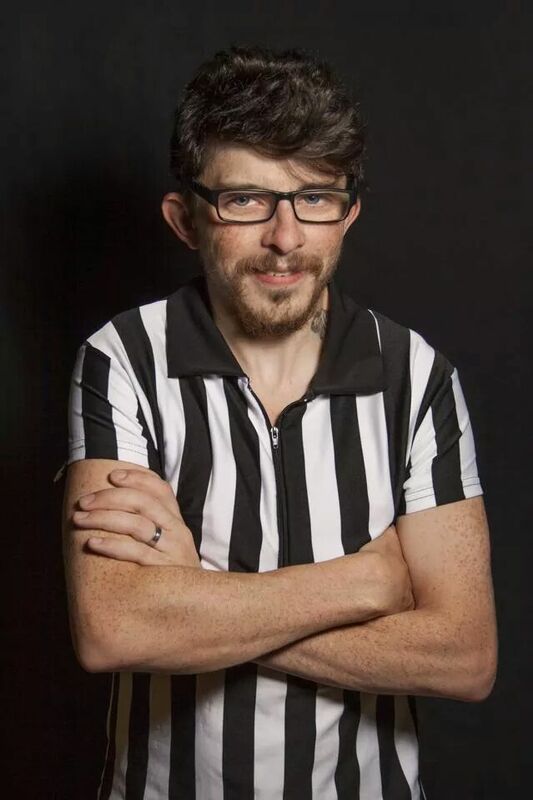 Time officiating: I am fast approaching two years in stripes now. Bouts officiated this year: 34 womens, 13 mens. NSOd two games. Countries visited this year: Two so far (on top of the UK), two separate events in France and once to ref in Belgium. By the end of the year I will add Sweden and America to that list though. Favourite bout/tournament? The Men’s World Cup. No doubt at all. It was amazing and I cried when it finished because of how proud I was to be a part of an event that saw amazing skaters playing in the city I live in. That and Panam v Lincoln at the Men’s European Cup. I was with most of my CCR team mates (sadly missing Metal Ed) and some other refs that I love – we worked so well together that it just felt like everything clicked into place. It was tough but felt like we were a proper tight crew. Aspirations for next year? God where do you go from this? By next year I will have been reffing for two years and have refereed two World Cups. I have enjoyed training refs this year, I think I’d like to do more of that. I want to revisit the leagues we trained in the run up to Dallas and see how they have progressed. I think next year will be about finding those hidden gems and helping them to reach their potential. I have had so much help in these two years that I feel I need to pay it back. 1 tip for an aspiring official? Find a mentor and use them. You won’t regret this. And keep a blog or diary so you can see how much you are progressing, you won’t feel it at the time, but looking back over the months will be a great inspiration for you when you’re having a “meh” day. Good luck! 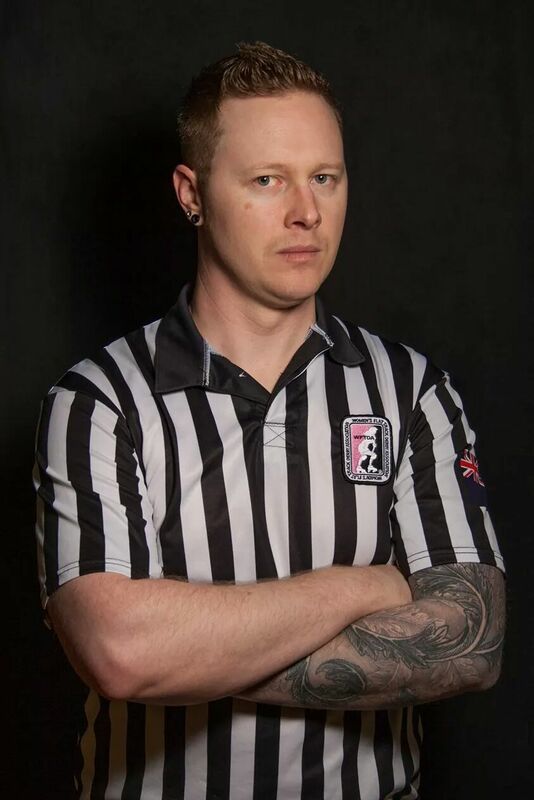 Our other Central City Rollergirls officials include Major Travis T (WFTDA Lv2), Sugar Buzz, Super Nashwan, Ma Might and Meg Ya Cry. You can catch our officials participating in a role reversal scrimmage this Saturday to raise funds for their trips to Dallas later this year. You can get a ticket to ref the game (they will be competing in it, many for the first time ever!) at the events page here. The event is preceded by a mixed scirmmage for those who aren’t wanting to have a go at donning the stripes. 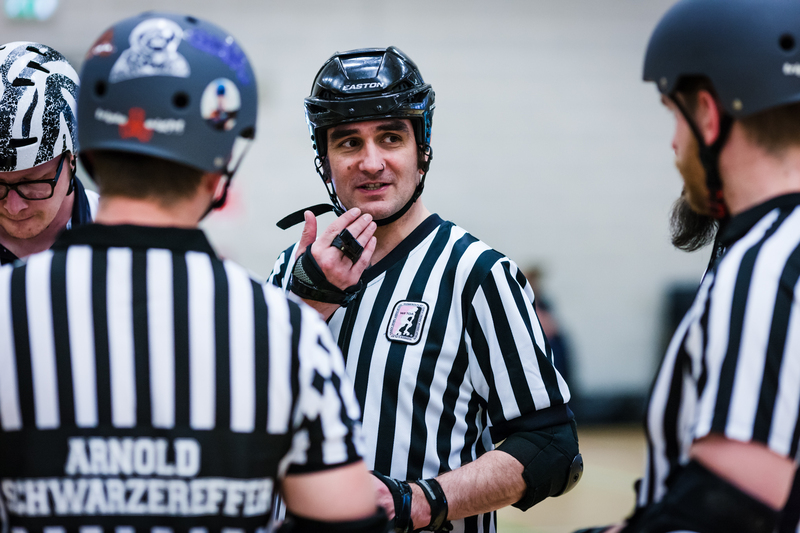 Our officials also offer boot camp opportunities at your league and you can find out about their other fundraising endeavours via here.